Did you know you could face a penalty of up to $16,000 per email if your marketing message is considered spam? Thanks to the CAN-SPAM Act, there are some rules you need to follow. Email service providers (ESP) and internet service providers (ISP) might be flagging your messages as spam also. In fact, one out of five legitimate emails are blocked from reaching their destination. 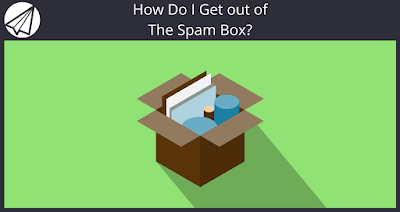 Here are 10 tips I recommend to make sure your marketing emails stay out of the spam folder. Require subscribers to opt-in to your marketing emails, otherwise you’ll end up in a lot of spam folders. This can ultimately end in you getting blacklisted. ESPs and ISPs blacklist an IP or domain if multiple people report the message as spam. Trust me, getting yourself off one of these lists can be time consuming. Asking your audience to opt-in can mitigate this. 2) Encourage recipients to add you to their contacts. Probably the best way to avoid the spam folder is by encouraging people to add you as a contact. 3) Use a trusted server. ISPs pay attention to the authority of the server your emails are sent from. If they don’t trust it, they may block all your messages. You can get around this by using a trusted third party like Sendlane™. Email marketing services have teams working to ensure their servers are never blacklisted. 4) Include all the information CAN-SPAM requires. It’s the law, so you can get in trouble if these elements are missing. If your emails lack an unsubscribe or email preference center link, spam filters are also triggered. I recommend personalizing your message to individuals subscribers because it’s just good practice. Personalization builds a connection with your audience, and improves clicks and conversions. Including the recipient’s name in the subject line also shows spam filters you have a personal connection with the recipient. 6) Make your identity clear. Use your name and email address to make your identity clear to recipients and ESPs. Consider including your company name as part of your “From” field, and send your emails from an address that’s on your domain (e.g. Anik@Sendlane.com). Email marketing services can easily make an email look like it’s coming from your domain instead of their servers. Spam filters pay attention to your content formatting — if it’s not clean HTML, your message could end up marked as spam. If you’re in the habit of copying and pasting your marketing message from Word, please stop. It jumbles up your code. Punctuation in your subject line!!!?? Spammers use URL shorteners a lot. As a result, some shortened domains are put on block lists. In fact, you should avoid sending out raw URLs in general if your email marketing service tracks link clicks. Always use anchor text and a hyperlink to avoid looking suspicious to spam filters. US companies send 1.47 million emails per month. With that kind of competition, email marketers today can’t afford to lose their reach to spam folders. Sign up for a free trial of Sendlane™ to start implementing these tips to stay out of spam filters. And if you have any other suggestions, I’d love to hear about it in the comments! If you found this list helpful, your friends will probably find it helpful as well. Please like and share on your social networks to help us get this great info out to other email marketers!